If you know me I love makeup brushes. I feel like I don’t have enough brushes but yet I have over 40+ brushes. Lol I recently purchased the BH Cosmetics 10 Piece Face Sculpting Brush and 7 Piece Eye Brush Set! I love how reasonably priced their products are and how quick shipment is. I haven’t had any issues with them. Now onto my review on their Face Sculpting Brush Sets..
BH Cosmetics Description – dual-fiber collection — specially crafted for applying liquids, creams and powders — includes five face brushes and five detailing brushes, making it easy to define your jawline, slim your nose, and create killer cheekbones, as well as highlight around eyes, fake fuller lips, and blend for a soft, seamless look. You’re ready for your close-up! My thoughts are the handle is very light weight and easy to use. The brushes are packed and dense (at least to me). The brushes are soft on your face. I love how its dual-fiber. Which of these brushes I use daily? Flat Blending Brush (Kabuki Brush) – I use this daily. 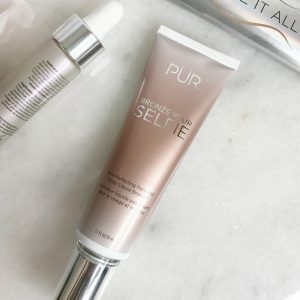 I mainly use this to apply my foundation. I love how it applies my foundation. Round Blending Brush – I use this with my powder for setting. Angled Blending Brush – for my blush and bronzers. Small Tapered Contouring Brush – I love using this for highlighting my brow bone. I fits in that area so perfectly. Small Angled Contouring Brush – I use this bronzers to contour my nose area. 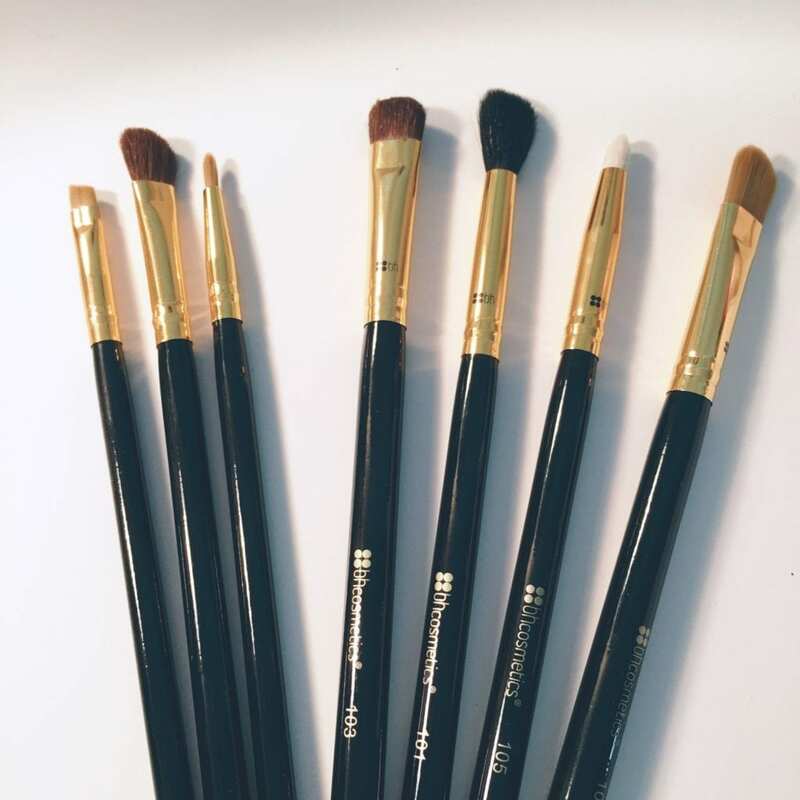 Now onto the Eye Essential Brushes..
BH Cosmetics Description – A complete wardrobe of professional-quality synthetic and natural-hair brushes, it offers endless options for creating any eye look that suits your mood, from soft and subtle to bold and bright. You’ll be the belle of the ball in the blink of an eye. My thoughts are the eye essential brushes are light weight, easy to handle and soft on your eyes. I love how it’s black and gold, it gives it that glamorous look. Small Angled Brush – I use for my gel eyeliners. I love how it helps with my eye wing. I love it. Angled Blending Brush – perfect for those smokey eye you’re trying to achieve in the outer corners of your eyes. Small/Large Shader Brush – I use this for eyeshadows. Especially when packing in my eyeshadow. Blending Brush – Use this for my eye crease and when blending the eyeshadows. Pencil Brush – Love using this for when I’m trying to shade my bottom eyelid. I honestly recommend that you get these brushes. 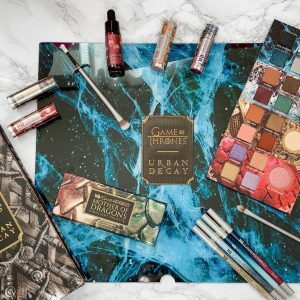 BH Cosmetics is becoming one of the popular brands online. 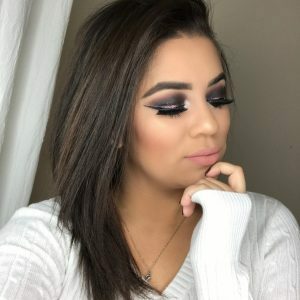 Missy Lynn and Carli Bybel are both famous beauty vloggers on YouTube and they both have their own line with BH Cosmetics. Wow, this brush set looks amazing!! I really need a new foundation and blush brush, I’ve had my current two forever. I will definitely look into these brushes! I know you’ve raved about them! Jasmine you are literally so perfect at makeup…I don’t even half a quarter of your makeup knowledge lol!!! 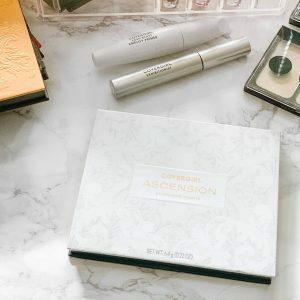 Do you do makeup for special events? you should!! Thank you so much. lol I do for like birthdays, weddings, etc..
brush set twins! I love love love these brushes! Thanks for the review! I’ve looked at their brushes and wondered how they are. I have some pricier brush faves that I absolutely love and will always have in my collection, but I also feel like I don’t have enough (partly because I always forget to clean them–I do a really good cleaning once a week, but for eye shadow/blush brushes during the week since I switch up my look often). These look so nice and it sounds like they work really well too! These sound like really great brushes- thanks for sharing! Yikes! Seeing all of the different brushes intimidates me. I like how you described them though. Your input definitely helps. I love BH cosmetics!! These brushes all look awesome, I’ll have to try them!! Thanks for the insight. I need some new brushes so I might have to pick these up! Oh I will definitely have to check these out. I’ve recently become obsessed with make up again so this may or may not be a good thing, lol. Thanks for sharing! lol It’s a good thing. Thanks for sharing! This is so helpful and takes out a lot of the guesswork for me while selecting brushes! lol I definitely know what you mean. I didn’t know what any of the brushes were when I first liked makeup. So interesting. I love blogs that take me beyond my health and fitness niche. I love these brushes! I actually have them all and love love ! 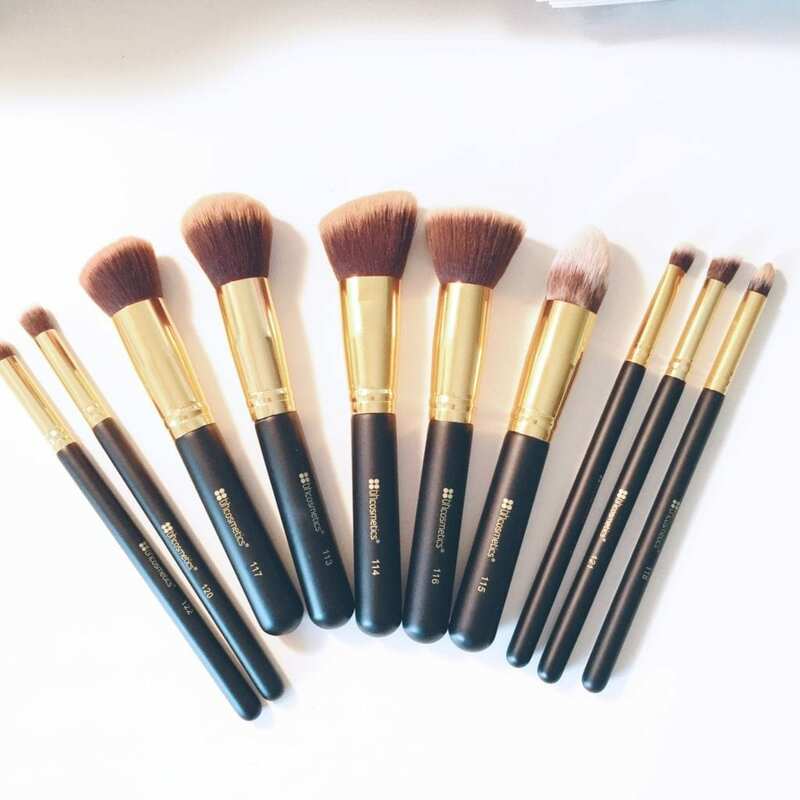 This is a great collection of brushes! Sometimes I feel like these packs don’t have actual value, but this looks great! They all look so pretty without makeup on them! ha! Nice review…it’s nice to to know what all the brushes are actually for!!! They always look pretty when they’re clean lol I hate seeing them dirty. These sound like great quality brushes that aren’t very expensive! Definitely worth the purchase. Especially if you don’t want to spend so much money. I’m so eager to try BH and these brushes make me want to even more! These all look great! I’ll definitely have to look into them! You should. I love them. I need to get these. Right now I have a hodge podge of different brands and most wear out so quickly! I am in desperate need of new brushes. Thank you so much for your review! 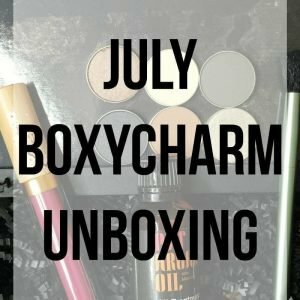 BH Cosmetics’ prices are always on point! I own some of their eyeshadow brushes and they are pretty good! I love morphe brushes a little more, and when I can get them on sale on hautelook, it’s definitely worth the wait in shipping! 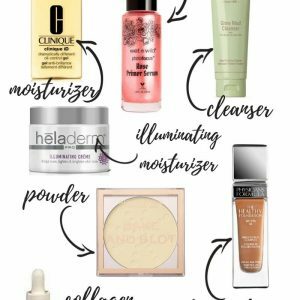 I’ll need to look at Hautelook!!! These brushes look amazing! I used to think the quality of brushes didn’t matter much but it makes all the difference!